If the winter weather has left you with dry skin, you will enjoy this deal at Walgreens starting 3/26. 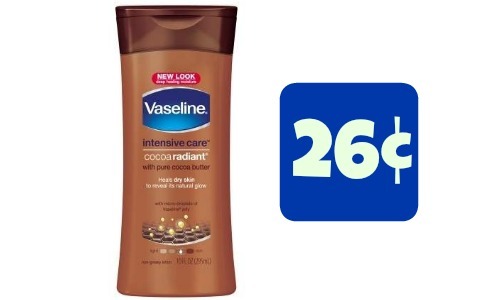 You can grab Vaseline Intensive Care Cocoa Lotion for 26¢ after coupons and Balance Rewards. –like getting it all for 53¢ or 26¢ ea.